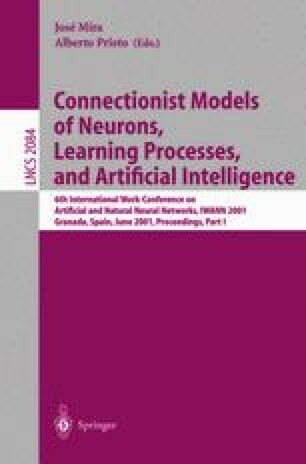 This paper presents MONet (Multi-Objective coevolutive NETwork), a cooperative coevolutionary model for evolving artificial neural networks that introduces concepts taken from multi-objective optimization. This model is based on the idea of coevolving subnetworks that must cooperate to form a solution for a specific problem, instead of evolving complete networks. The fitness of each member of the subpopulations of subnetworks is evaluated using an evolutionary multi-objective optimization algorithm. This idea has not been used before in the area of evolutionary artificial neural networks. The use of a multiobjective evolutionary algorithm allows the definition of as many objectives as could be interesting for our problem and the optimization of these objectives in a natural way.